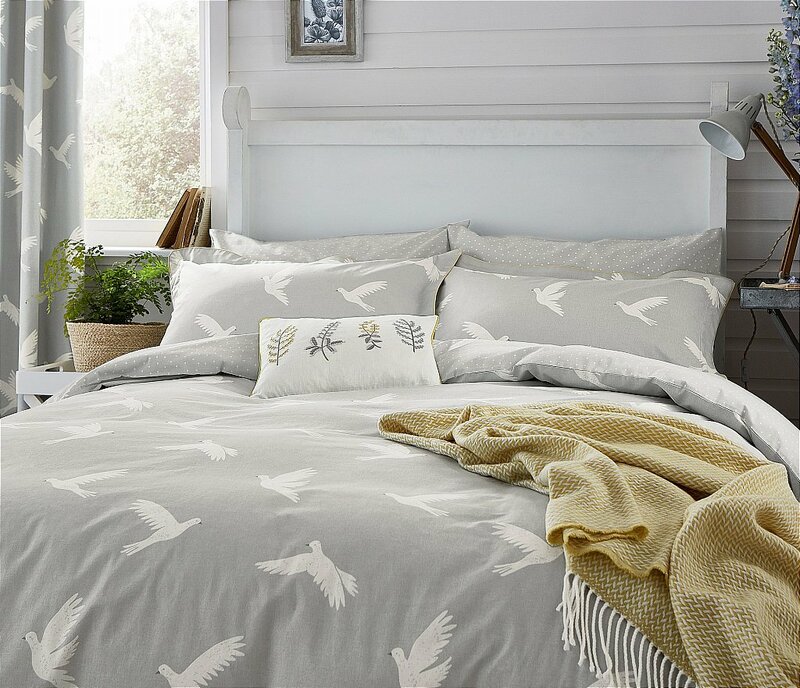 Damson Tree features an elegant print of stylised birds perched upon the branches of a beautiful garden tree and is complemented by a coordinating stripe on the reverse of the duvet cover and Oxford pillowcase. Striped standard pillowcase pairs are also available. Add an extra layer of comfort to the bed with the moss stitch blanket in soft lilac tones and the embroidered accessory cushion. I would like more information about Damson Tree Bedding in Dove by Bedeck.